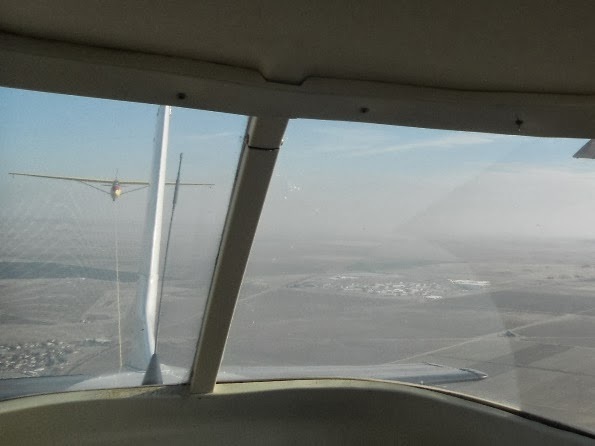 Visibility: Hazy down low. Unlimited above inversion layer. Richard Walker, Carl Engel, with Peter Marsino and Herald Gallagher showing up later. This was almost a repeat of Jan. 25 with light winds out of the NNW and thermal activity. 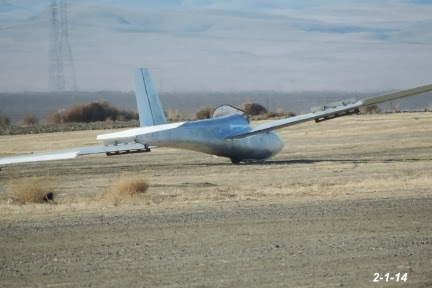 Carl, Joe, and Andy were able to stay up for a while in weak thermals. We had two Russias flying with Andy’s and Richard checking out in the club Russia. 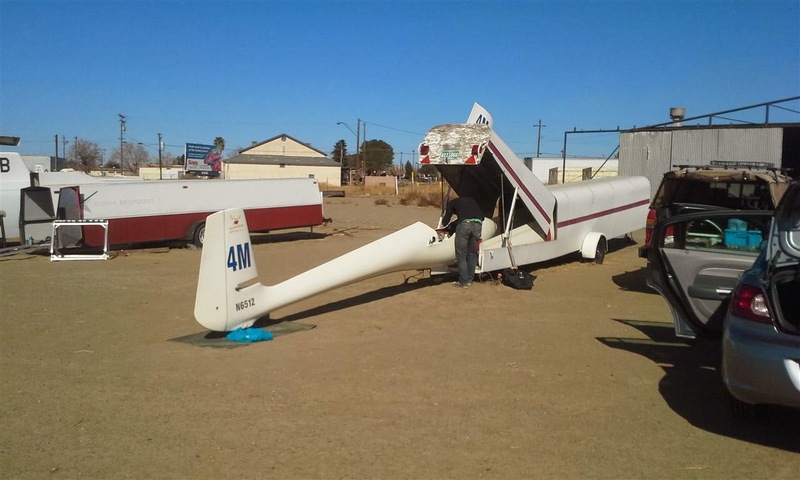 While we only had about six flights scheduled we ended up with 25 tows for the day with most pilots taking multiple tows. 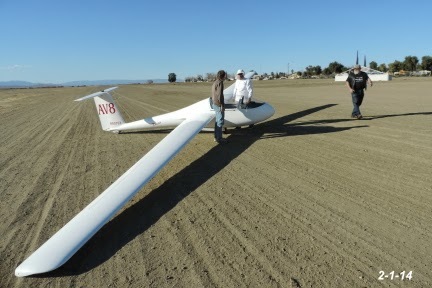 Overall a great day for training flights with just enough cross wind to make it interesting for new pilots. 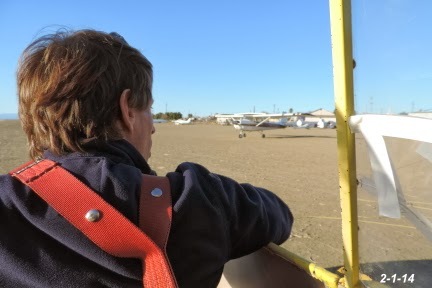 For a time it was a real three ring circus with gliders and tow plane landing on runway 8, 13, and 31, many times arrivals at the departure pad simultaneously. 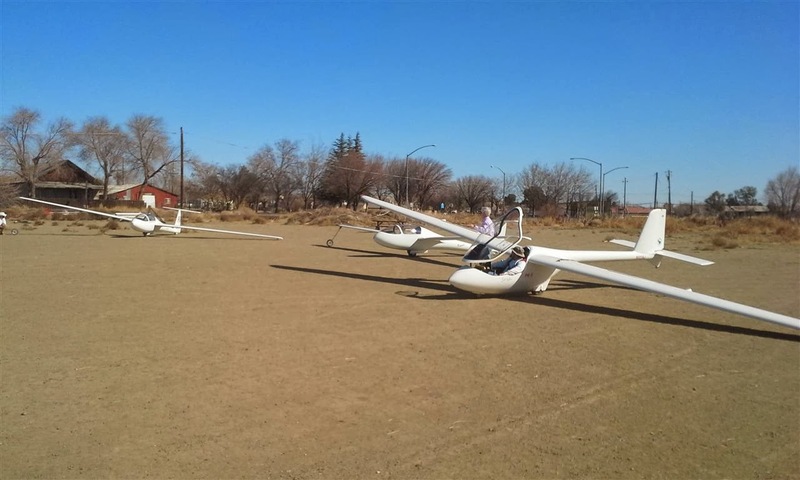 It was good to see glider pilots using runway 8 to get comfortable looking at a different landing picture and landing on a shorter narrower runway. 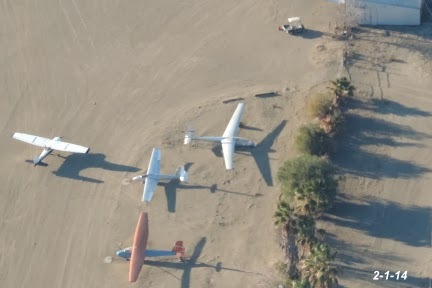 This has been the busiest winter flying I have seen since I have been a member of the club, one benefit of no rain. Getting "Big Bird" ready for the day. 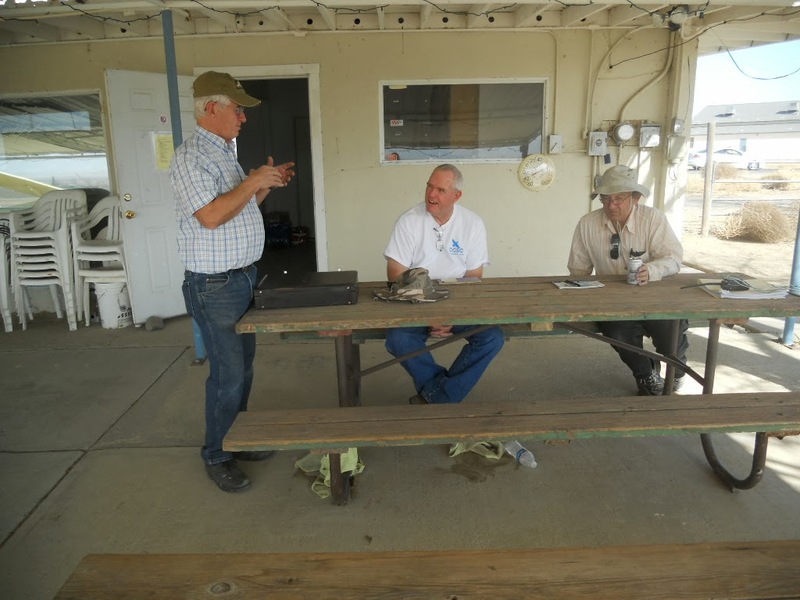 Richard Walker, Martin Caskey and Alex Caldwell discussing matters. This is not a view one sees very often--nice shot! There were glass ships all over the place today. 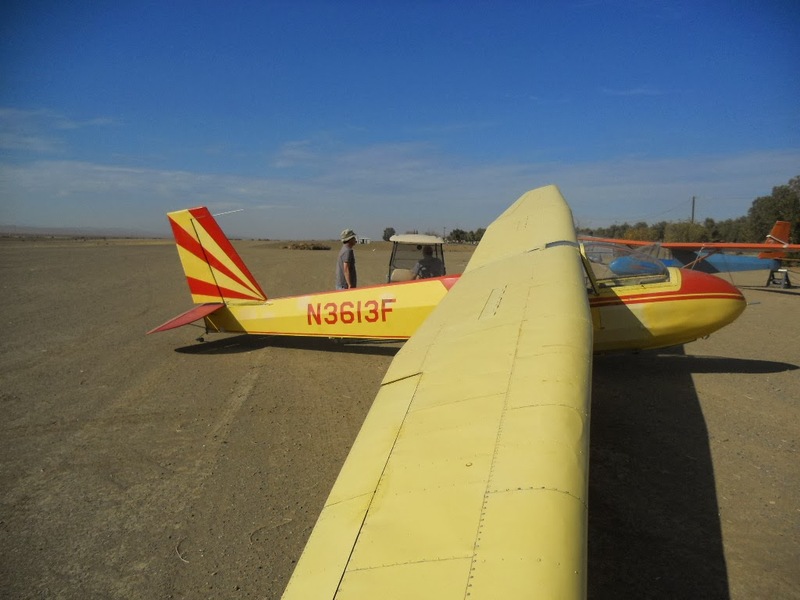 And the rudder is back on Jerry & Pancho's Libelle. The only thing left is to finish installing the new trim mechanism and the Libelle will be in the air! -- Jan Zanutto. A minor mishap for Andy Reistetter brings out Peter Mersino and Jerry to help. Karl Kunz standing by to help hook up for Daniel Clark. Carl Engel lands the 1-26 after chasing a few weak thermals around the field. 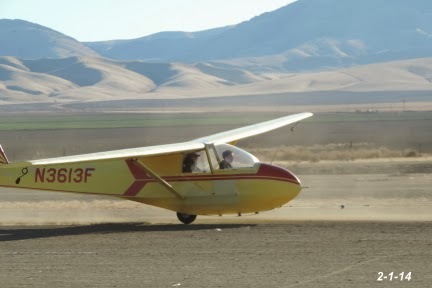 Daniel Clark and Dan Gudgel flying another training flight. 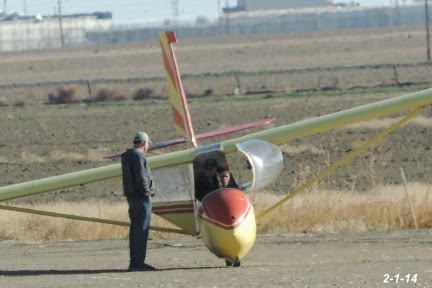 Peter Mersino ready for another training flight. Alex Caldwell taxiing to the hangar at the end of a long day of towing.